The 2017 edition of the DStv Eutelsat Star Awards launches with a brand new Facebook page! The prizes of this innovative competition are as big as the dreams of a young, energised African generation ready to shape the evolution of our continent. 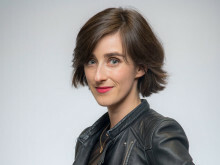 Selected from thousands of entries by a high-standard jury, the essay winner will be eligible for a once-in-a-lifetime trip for two to Paris, France in the company of Eutelsat, and onwards to French Guiana to see a rocket launch into space. The poster winner will win a trip for two to South Africa which includes a visit to the South African National Space Agency as well as exploration of several heritage sites as guests of MultiChoice Africa. The schools attended by the two winners will also receive a DStv installation, including a dish, TV, decoder and free access to the DStv Education Package. The DStv Eutelsat Star Awardsare open to all learners from secondary (high) or combined schools on the continent where MultiChoice Africa maintains operations. Entry forms can be obtained from any MultiChoice Resource Centre, the nearest MultiChoice office or via www.dstvstarawards.com. Entries are accepted in English, French and Portuguese and will be judged on the basis of high-standard criteria of accuracy, creativity, originality and innovation. For the first time this year students are also invited to engage with the Awards community through a dedicated Facebook page. The competition closes on 12 February 2018. Only entries submitted on the official entry form will be eligible. The overall winners will be announced at an awards ceremony in March 2018. MultiChoice Africa and Eutelsat are convinced of the power of science and technology education to encourage young minds to positively change their world. Now in its 7th year, their joint initiative, the DStv Eutelsat Star Awards, inspire innovative thinking among a young African generation. This pan-African collaboration has created a meaningful engagement with students, the academic community and the scientific world. 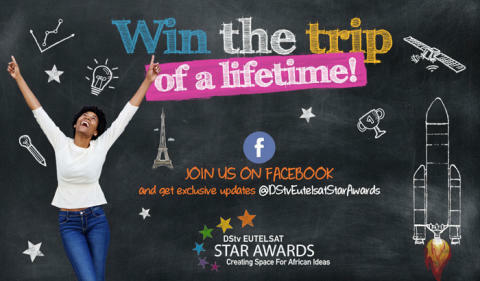 Since the start of the DStv Eutelsat Star Awards in 2011, over 6,000 students have taken part in this unique competition. Founded in 1977, Eutelsat Communications is one of the world's leading satellite operators. With a global fleet of satellites and associated ground infrastructure, Eutelsat enables clients across Video, Data, Government, Fixed and Mobile Broadband markets to communicate effectively to their customers, irrespective of their location. Over 6,700 television channels operated by leading media groups are broadcast by Eutelsat to one billion viewers equipped for DTH reception or connected to terrestrial networks. Headquartered in Paris, with offices and teleports around the globe, Eutelsat assembles 1,000 men and women from 44 countries who are dedicated to delivering the highest quality of service. Entertainment is a powerful way to tell stories that open our minds, bring people together around shared passions, and connect us to new realities. It makes us laugh and cry. It informs, it educates and it inspires. MultiChoice is a video entertainment company, and our purpose is to enrich lives. We make the best in entertainment accessible to millions of households in 49 countries across Sub-Saharan Africa. We do this through cutting-edge technology on our DStv and GOtv platforms – delivering the content our customers love and contributing to the success of local economies. Born and bred in Africa, we are rooted in the countries where our customers live. We are managed and run by local people, and strive to provide all our employees with new opportunities. We’re proud of the contribution we make to our communities, and our business has grown hand-in-hand with local economies by forging long-term partnerships with governments, national broadcasters and entrepreneurs. We want to use our influence and resources to play a positive role in Africa, helping to grow Africa’s people and creative industries into vibrant, economic powerhouses. It’s by creating value for our customers, our employees and society that we’ll build a successful business for the future.